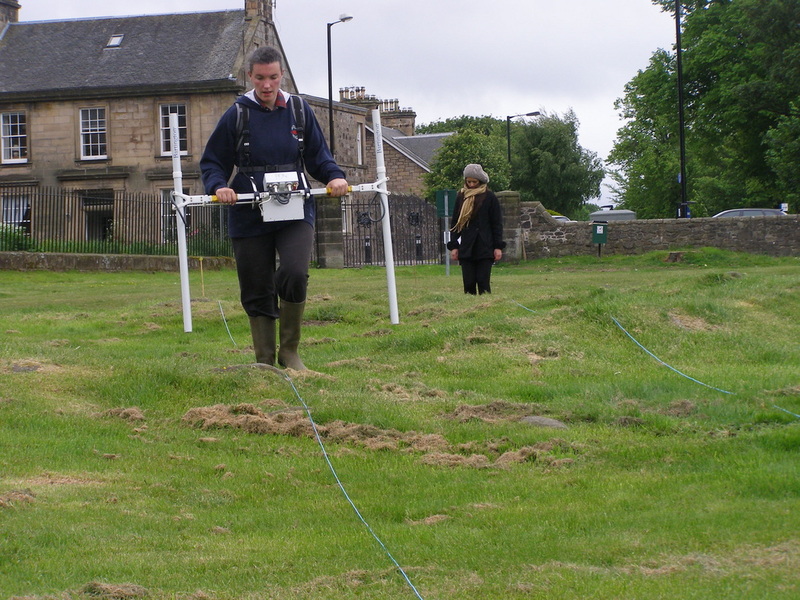 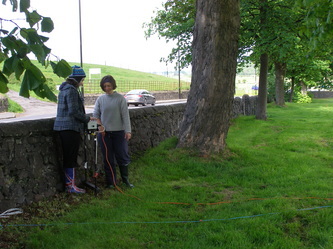 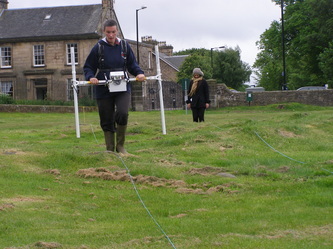 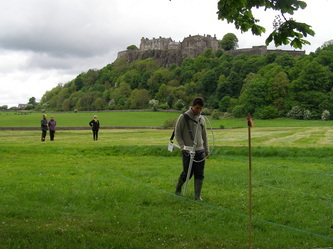 A week long survey of the King's Knot took place from May 16-20 directed by Archaeologist Stephen Digney with equipment and a survey team provided by Glasgow University Archaeology Department aided by volunteers from this society and the Stirling Field and Archaeological Society. 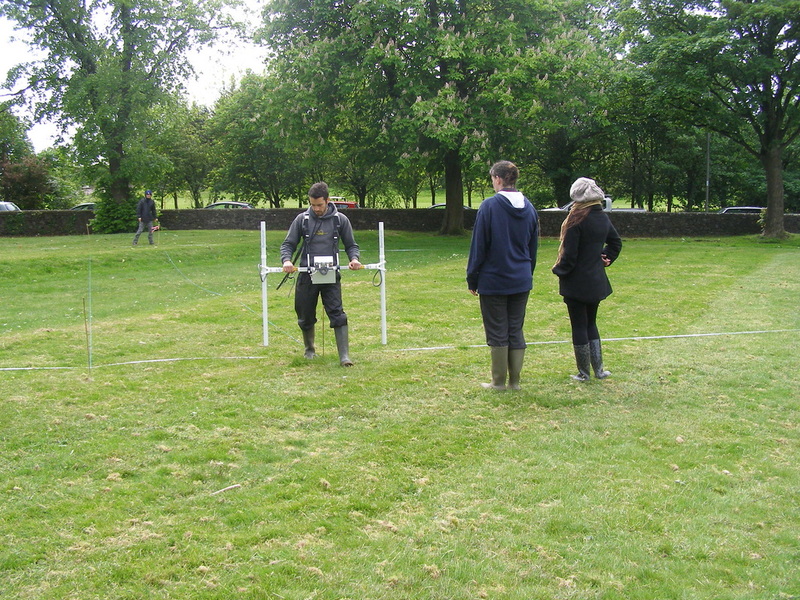 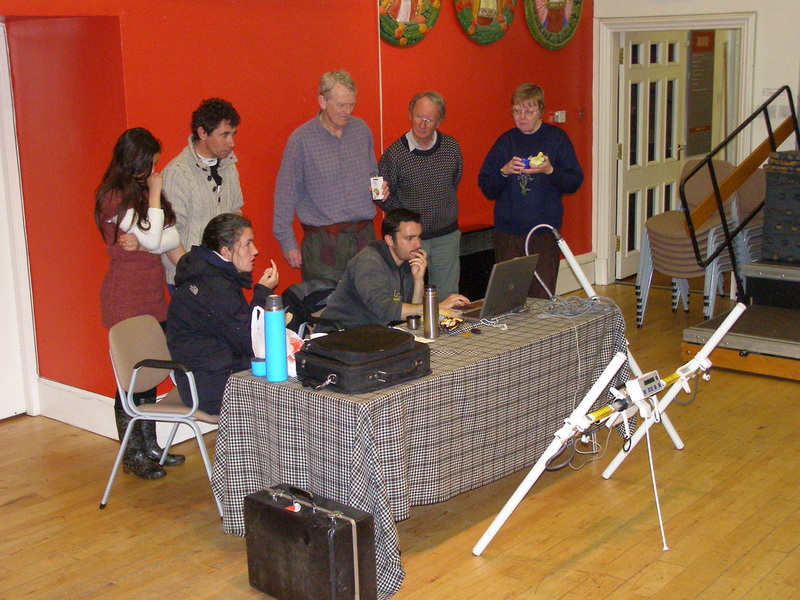 The survey equipment used will show any hidden structures or features up to a metre below the ground. This is part of a serious effort to explain the King's Knot. Read the report in Stirling Observer. 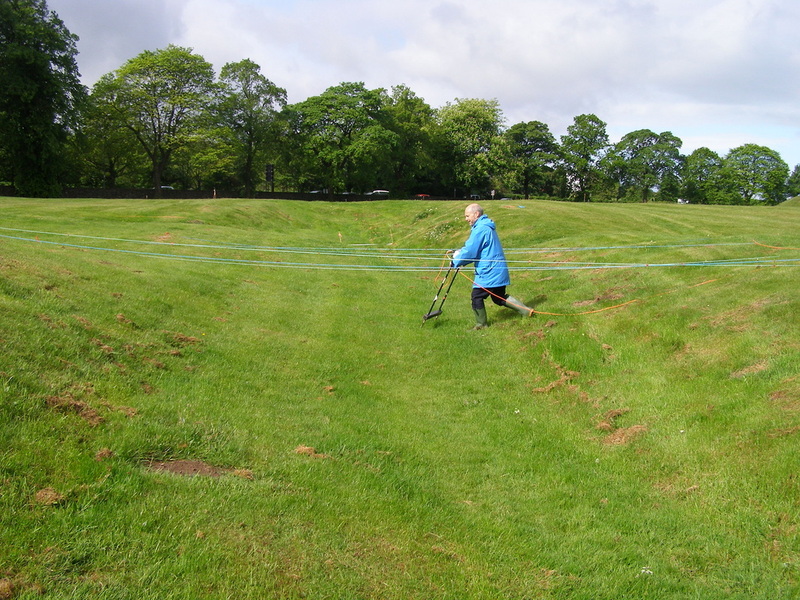 Below are some photographs of the work carried out.